This incredible work of modern architecture by Paul McClean demonstrates the new face of the Hollywood Hills. Nestled into the hillside with a seamless indoor-outdoor design, this home features 12-foot ceilings and floor to ceiling windows throughout all facing one of the most dramatic views overlooking the beautiful skyline below and the Pacific Ocean. 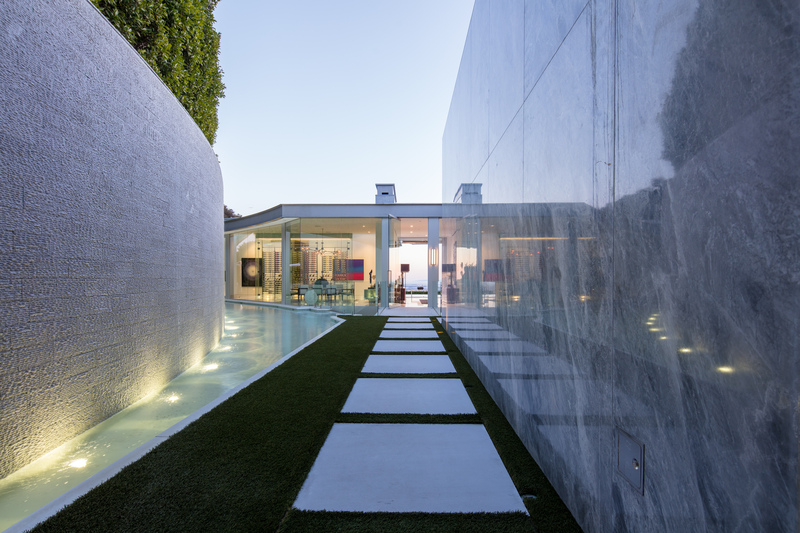 This ultra-modern home has marble slab walls and a thassos floor. There is an entertainers living room, screening room, full bar, office/library, and gym. 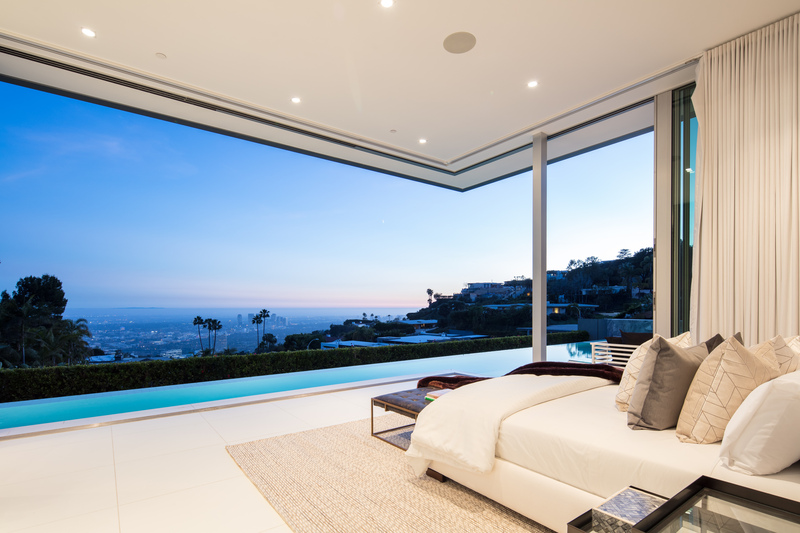 The master bedroom features an exclusive view over the zero-edge infinity pool that runs the length of the home and has attached master bath and private terrace. 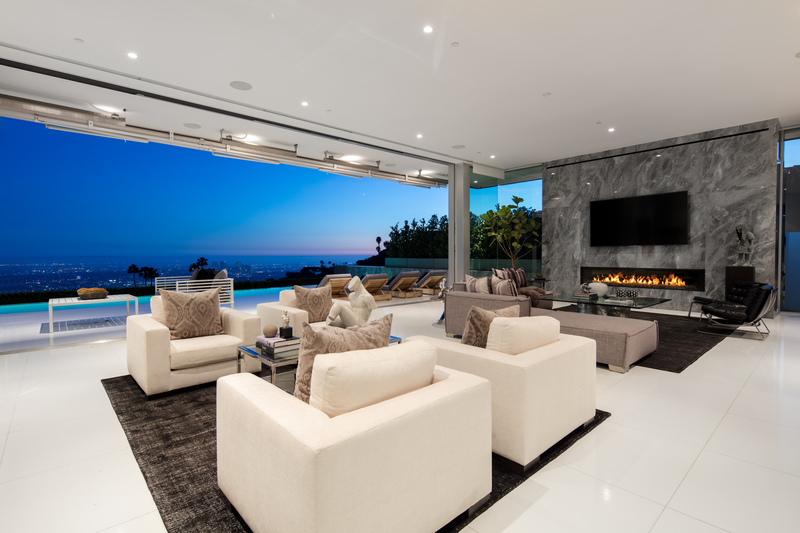 This modern home exemplifies the true California dream, from the breathtaking views, expansive living space, and amenities that define living in luxury and relaxation. This home is listed for $17.495 million with Aaron Kirman of Pacific Union.